Tracey Bond flies on Jetstar JQ129, Auckland to Rarotonga. The plane: A320 - this was the first time in 10 years a new airline has flown to the Cook Islands. 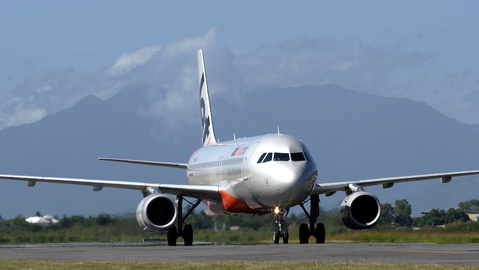 Jetstar hopes it will make the route more affordable and encourage tourists to spend more money in the actual islands rather than on the airfare. Price: Regular one-way fares from Auckland start from $219. The airline has three flights a week. On time: Everyone was on board early for this inaugural flight. It takes three hours and 30 minutes to get to Rarotonga. We arrived 15 minutes ahead of schedule. My seat: 2F with the basic starter fare. Fellow passengers: New Zealanders and Australians heading off on holiday with a sprinkling of Cook Islanders as well as Jetstar executives and Cook Island officials. How full: There were about 40 seats free so there was plenty of room to move about the cabin or spread out on to free seats. Entertainment: The Jetstar magazine is available in all seat pockets with lots of travel advice, puzzles and quizzes. Plenty of people were using their own devices to watch films or TV shows and listen to music. Or you could go old-school and read a book. Food and drink: With Jetstar, you can pre-purchase from the Jetstar Cafe online or pay on board using a credit card. There's a wide range of snacks, sandwiches, as well as a handful of hot options (ham and cheese toasties and pies) with some healthier salads available. The combo deals are good value: $10 for cheese and biscuits with a glass of wine. Luggage: 7kg of hand luggage is included with the starter fare. Additional hold luggage is available at a cost. The toilets: Three loos on this flight. The airport experience: Check-in was a breeze. It was easy to get into the holiday vibe with the sounds of the Cook Islands playing as passengers waited in a queue. 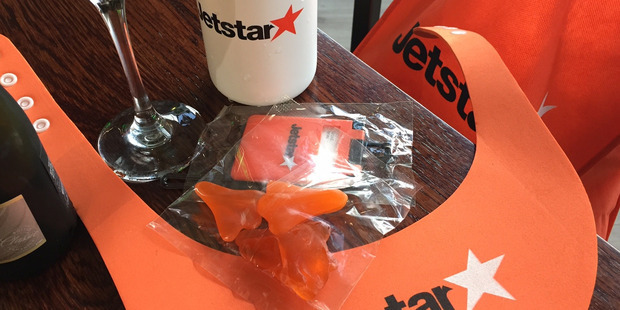 To celebrate the new route, all guests travelling to Rarotonga received a Jetstar swag bag containing a water bottle, luggage tag, visor and a guide to the Cook Islands. Would I fly this again: The flight was quick and did what it said on the box: the cabin crew were super-efficient, friendly and helpful. Additional competition on this route gives travellers more flight times and price points to maximise their time in the beautiful Cooks. So that's a yes. Tracey Bond - Tracey Bond is a travel writer based in Auckland.